An Extraordinary, Educational, Training, Webiclass with Australias Top Market Timer and Technical Analysist - DAVID HUNT! Learn Elliot Wave Analysis using current Australian Bank Shares Charts. In this Extraordinary, Educational, Training, Webiclass David uses current Australian Bank Share Charts to teach you Elliott Wave Technical Analysis which you can use to help you get the Market Timing Right, so you know when to be in and when to get out and help you make better Investing and Trading Entry and Exit Decisions. Which Australian Bank is the Bad Bank Right Now? Which Bank may have topped already for the next 3 or 5 years? Which banks can you buy for Dividends that are technically safe? Should you be buying banks at all? What are the good banks? Find out in this Extraordinary, Educational, Training, Webiclass. This is a rare opportunity to watch one of David’s Educational Webinars and learn from one of Australia’s most influential, recognized and respected market timers. A personal, individual live training session with David Hunt would normally cost $500 per hour. 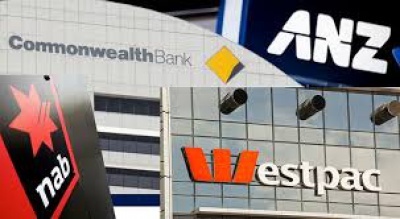 WEBINAR: Analysis of Australian Banks - Extraordinary, Educational, Training, Webiclass $47.00 for 20 days Analysis of Australian Banks: An Extraordinary, Educational, Training, Webiclass with Australias Top Market Timer and Technical Analysist - DAVID HUNT!